Eleanor or of Aquitaine’s second husband Henry II, King of England granted La Rochelle its charter in 1199 in the 13th century the town entered into commercial agreements with England and Flanders importing wool and exporting both wine and salt becoming in the process and international trading centre. To this thriving commercial town came merchants from England Spain and Flanders. After the 15th century La Rochelle prospered by means of the fur trading with Canada and also regrettably the slave trade centred upon the West Indies. Up to the 1500s La Rochelle, often referred to as the French Geneva, was a hotbed to Calvinism and during the early days of the Reformation, Calvin’s teachings were preached in the city churches but for more than 30 years from 1562, the Wars of Religion turned the region into a bloodbath. In 1573 the Royal army led by the Duke of Anjou besieged the city but unsuccessfully. La Rochelle’s inhabitants hurled a mixture of boiling water and melted pitch onto the would be invaders and after half a year of attacks the city still had not fallen. By the time the siege was lifted the Royalists had lost tens of thousands of men. History was seen to repeat itself over 50 years later during the Siege of La Rochelle which took place in 1627 when a second royalist army laid siege to La Rochelle but at this time the town was in cohorts with the English who had already invaded the Isle de Re. 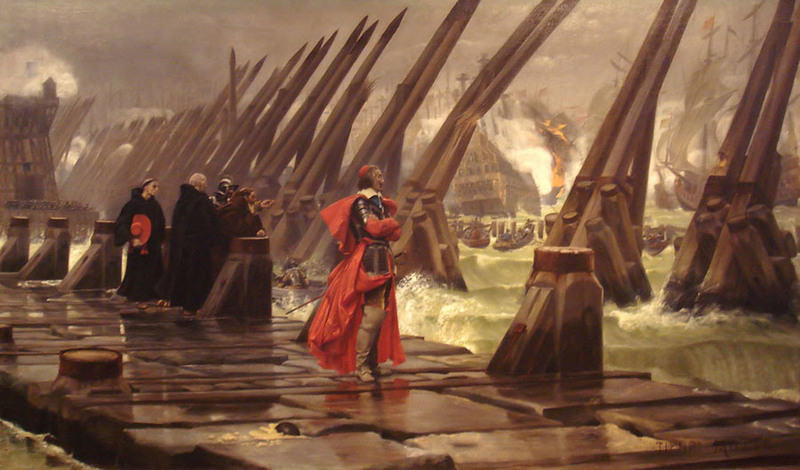 The chief protagonists on this occasion were on the outside, Cardinal Richelieu and in the city John Guiton, a fanatical character and former Admiral in the Navy and at the time mayor of La Rochelle. 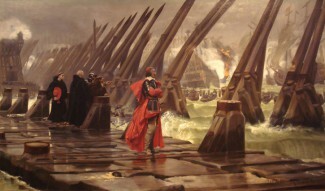 Eventually the English fleet was unable to relieve the beleaguered garrison due to a gigantic dike which Richelieu had cleverly had erected across the bay to block the entrance to the harbour and after 15 months, the town was starved into submission and Richelieu made his victorious entry in October 1628 followed soon after by Louis XIII. The writer most associated with La Rochelle’s Eugene Fromentin 1822 -1876. He was not only a painter and a novelist but also an art critic. In his beautiful romance Dominique published in 1862 and dedicated to George Sand, his painter’s eye is much in evidence as he describes 19th-century La Rochelle – the skies – the beautiful light and the landscapes. 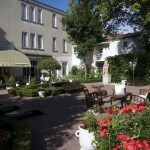 The writer Jean-Paul Sartre went to school in La Rochelle and even Georges Simenon lived here for a while although neither of these two were natives of La Rochelle.